Bright rooms with a minimalist decor and equipped with modern amenities. 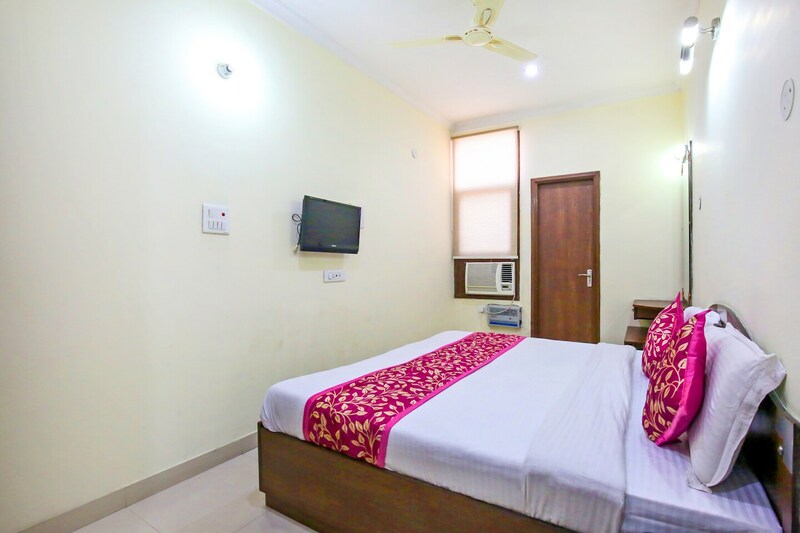 Hotel Holiday Comfort is located close to the Jallianwala Bagh and provides a variety of rooms. The rooms have bright painted walls and patterned cushions. You can choose the single bedrooms for a business trip or choose from their range of suites or rooms with the warm and comfortable beds. The rooms are equipped with essential amenities and en-suite bathroom with geyser and free toiletries. Select rooms also offer a wooden wardrobe and a sofa set. Besides basic amenities, free WiFi is available to stay connected. Parking facility and laundry service are also provided. Botanical, Gobindgarh Fort , Golden Temple and Jallianwala Bagh are the most prominent tourist spots around the hotel.